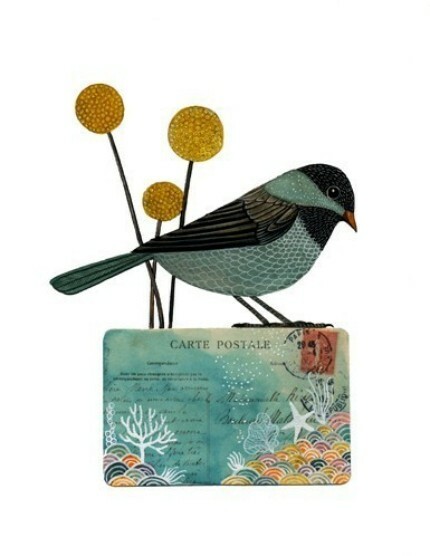 We love these bird images from Etsy seller Geninne. She lives in Mexico, and studied architecture before graduating with a degree in graphic design. 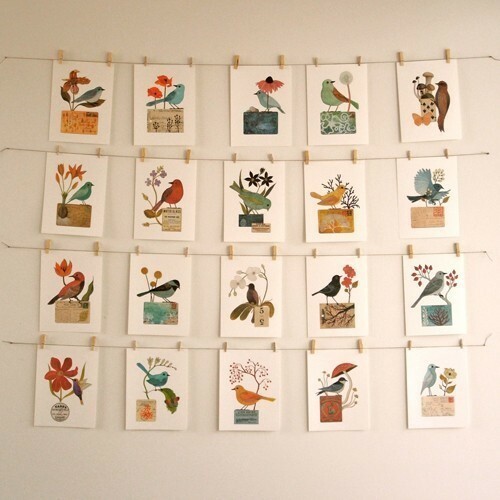 These are prints from her bird series. 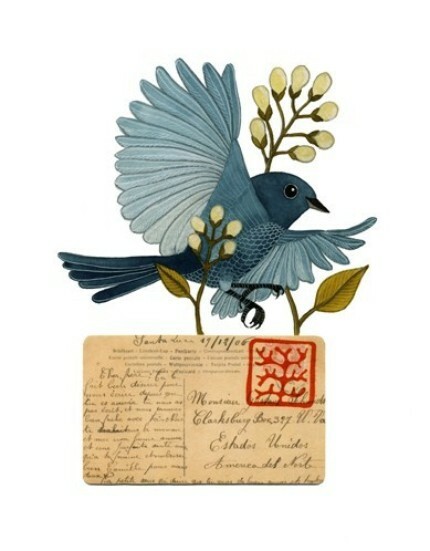 We love the use of vintage postcards and botanical images. You can visit her store here.